Welcome to Charged Up, a quarterly newsletter from the private equity group at Battery Ventures. Welcome to Charged Up, a quarterly newsletter from the private equity group at Battery Ventures. The group is an active, global investor in the software and industrial-technology sectors, helping companies grow organically and through acquisitions. 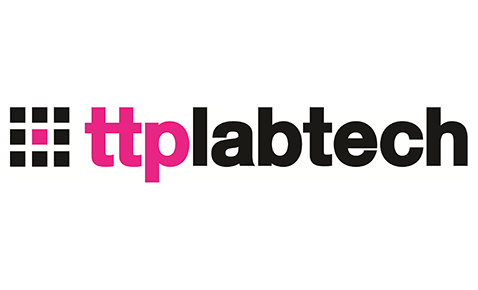 In September, Battery acquired TTP Labtech, an international leader in the design and development of automated instrumentation and consumables for life science research. The deal is meant to underpin the company's expansion plans serving the pharmaceutical, biotechnology and academic research markets. Clubessential, which makes technology for private clubs and the college-athletic market, has purchased Performance IQ, a developer of fitness-tracking software that delivers real-time individual and group fitness results, and Black Diamond IT Services, a leading provider of college-athletic websites. Battery’s PST Group, which provides a comprehensive suite of instruments and analyzers for precision measurements, has acquired Dynament and Status Scientific, two England-based sister companies that manufacture infrared gas detection sensors and instruments. Battery's PPT Group, a designer and manufacturer of physical property testing instrumentation, has acquired Mecmesin, a global supplier of force- and torque-testing equipment for consumer and industrial products. In August, Genstar Capital closed its acquisition of Austin-based Drillinginfo, a software, data and analytics platform for the energy value chain that delivers business-critical insights to the energy, power, and commodities markets. Paul Morrissey, based in London, was promoted to principal, and Viraj Parmar, based in Boston, was promoted to associate. Additionally, two members of the venture-growth team were promoted to vice president, Dan Nguyen-Huu and Dallin Bills. On November 7th, Battery’s private equity team will convene a two-day CEO summit bringing together portfolio CEOs to discuss business challenges, share best practices and enjoy peer-to-peer networking. On November 8th, seasoned executives and icons of Silicon Valley will share the defining moments that tested their organizations and challenged them as leaders at the annual Leadership Summit. 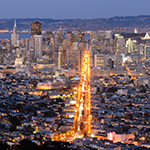 In February, Chelsea Stoner, Battery general partner, and Nancy Ham and Heidi Jannenga of Battery portfolio company WebPT will all be speaking at the SaaStr conference in SF. The information provided in this newsletter is solely intended for the use of entrepreneurs, corporate CEOs and founders and is current as of the date it was published. The contents are not intended to be used in the investment decision making process related to any product or fund managed by Battery Ventures. No assumption should be made that the investments identified above were or will be profitable. It should also not be assumed that recommendations made in the future will be profitable or equal the performance of the companies identified above. Content obtained from third-party sources, although believed to be reliable, has not been independently verified as to its accuracy or completeness and cannot be guaranteed. Battery Ventures has no obligation to update, modify or amend the content of this newsletter nor notify its readers in the event that any information, opinion, projection, forecast or estimate included, changes or subsequently becomes inaccurate. You received this email because you are subscribed to Private Equity Newsletter from Battery Ventures.